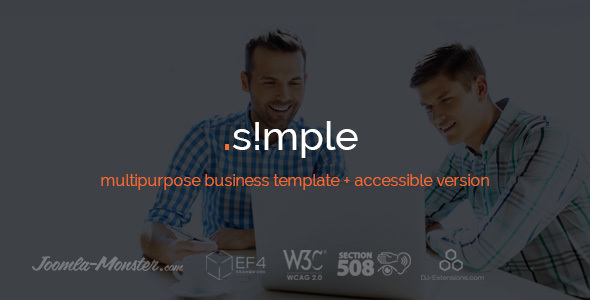 JM Simple is a multipurpose simple business Joomla template that will be ideal for companies operating in the areas of finance, marketing, and new technologies. Moreover, it's Joomla WCAG 2.0 compliant template including 508 & ADA. Get website accessibility with Joomla WCAG 2.0 compliant template for a business website.